HOUSTON – Confession: Few things in this world are as fascinating and fun as the literal and figurative swamp of Harris County politics. The creatures lurking here in the murky bayou waters are powerful and petty, colorful and crazy. And they’ll get you if you’re not careful. That’s why it was especially striking that as Gov. Greg Abbott last Monday threw the equivalent of a political Molotov cocktail at the Harris County Republican Party’s leadership, its executive committee meeting was relatively subdued. Such meetings can erupt into shouting matches over much less than a governor inserting himself into what’s sure to be a nasty primary race, siding against a popular Republican incumbent who carried her district last year when her party’s White House nominee lost within the same political borders by 15 points to the Democrat. 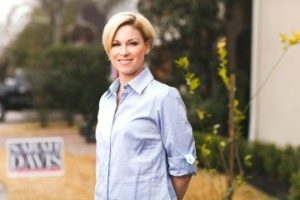 Prior to Abbott’s endorsement of TPPF Fellow and Empower Texans favorite Susanna Dokupil, GOP activists in Houston had for the last week internally debated the wisdom of a proposed censure of Rep. Sarah Davis, R-West University Place. The censure motion never made its way to the floor of the meeting. There was grumbling among some precinct chairs, wondering if Abbott timed his endorsement of Davis’ challenger to add fuel to the censure frenzy among activists potentially forcing a debate of the measure. County Party Chairman Paul Simpson had argued, without taking sides in the primary of course, that a censure resolution would be harmful to the entire local GOP’s fortunes in November of next year. At the county level in Houston, you see, the general election matters. Passing a censure resolution against Chair Davis, who could then still emerge as the GOP nominee despite Abbott’s efforts, would preclude Chairman Simpson from running an all-out straight ticket voting campaign because the censure would prohibit him from spending party resources on Davis’ behalf in the fall. The new state law doing away with one-punch straight ticket voting doesn’t take effect until 2020. So, in 2018 Simpson will take one more stab at a straight ticket Republican campaign as voters cast the third longest general election ballot in the United States. Unity coupled with that straight ticket campaign is the Harris County GOP’s best hope in an environment that may well turn into a wave election for Democrats spurred by backlash against President Donald Trump not unlike the 2010 election’s backlash against then-President Barack Obama when Rep. Davis won her seat in the first place. It’s been well-reported lately that Chair Davis beat her Democratic opponent in 2016 despite serious headwinds for Republicans in Houston. But she also beat her GOP primary challengers in 2014 with 70 percent and in 2016 with 60 percent. Her swing district has consistently rejected those running to Davis’ right and left. In their search for party purity, state-level Republicans may be willing to give back the gift Obama gave them as penance for Trump. That’s if Abbott’s preferred candidate can overwhelm Davis with his help. Meantime in Dallas County as many as five Republican Texas House seats could similarly be swept by Dems not only because of anti-Trumpism but by degraded districts – we’re coming to the end of the redistricting cycle, after all – potentially adding that many members to the ranks of the House Democratic Caucus. There’s no reason not to anticipate similar censure measures against Republicans in Dallas County and elsewhere. The censure motions floated against Rep. Davis and Rep. Travis Clardy, R-Nacogdoches, at their core are designed to separate GOP candidates from party resources and infrastructure in the same manner as those controversial “speaker commitment” forms now promoted by the Republican Party of Texas. Whether the forms amount to “illegal bribery” is now in the hands of the Texas Ethics Commission, which of course is not the quickest law enforcement cop on the beat. Some in the GOP are working as hard as they can to starve independent-minded House members of funding heading into what could be a Democratic buzz saw next November, all the while pushing the idea that a party edict can somehow be enforced when members hit the floor to choose their next presiding officer. The wild card? There’s no telling exactly what retiring Speaker Joe Straus will do with his $10 million cash on hand but it stands to reason he will support members like Chair Davis and those potentially being hung out to dry for having committed the sin of only voting for the GOP agenda 95 percent of the time. Abbott’s meddling in an incumbent’s race only serves to sow more division and discord within what may be a smaller Texas House GOP Caucus as Democrats look to grow their numbers to above 60. Even if Abbott beats some incumbents, their colleagues will still be in office perhaps readier than ever to exercise independence in the most important vote they take, the vote that sets the tone of governance in the House. If Democrats are better positioned in 2019 to have a seat at the table in selecting the next speaker, they’ll partially have Gov. Abbott to thank. This analysis originally appeared in The Quorum Report. Join us there for daily coverage of Texas politics and government. Copyright November 14, 2017, Harvey Kronberg, www.quorumreport.com, All rights are reserved.